Sarasota, Fla. – Chase Bank is the newest addition coming to Longboat Key. Chase Bank will be joining Publix, CVS, J. McLaughlin Clothing and other merchants at the Town Shoppes of Bay Isles shopping center. Crossman & Company represented the landlord on the new lease. 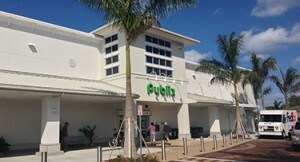 Town Shoppes of Bay Isles includes the only grocery option on the island and re-opened late 2013 with a revamped upscale Publix prototype. Senior Associate, Tracy Worrell with Crossman & Company has been working on the leasing since the completion of the redevelopment. Worrell says there is still an excellent restaurant opportunity available that includes a large patio for outdoor seating. The shopping center’s address is 525 Bay Isles Parkway. For more information about the property, contact Tracy Worrell at 855-423-5400 or via email at tworrell@crossmanco.com.